This week’s Monday’s Writing Links highlights libraries, specifically the Chicago Public Library and the proposed cuts it faces. This is an issue that I’m incredibly biased on and will admit openly. Firstly, I live in Chicago and love books. Secondly, I have family who work for the CPL. 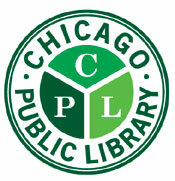 So, again, not the most objective subject I’m going to tackle, but I’ve stood up for the CPL before (including an incredibly odd incident where I was explaining an arguably anti Chicago libraries piece that Fox News did to people at a grocery store and then was moments later confronted by the anchor who did the piece) and would be happy to do so again. The Chicago/Illinois budget situation is always a dire one. Every other day it seems like they are hiking public transportation fees to the point that seniors are trying out skateboards or the city is considering turning Navy Pier into a peninsula of gambling and overpriced novelty popcorn stores. I guess I can understand the viewpoint in a budget crisis that libraries, in the eye of a very sterile assessment, would fall under the blanket of being an amenity and therefore not a necessity. This is a point that I wouldn’t necessarily agree with though. Sure, you could funnel money into bloated city salaries and fixing the potholes on North Ave that eat shopping carts, entire bus routes and inquisitive nocturnal animals (supporting city infrastructure is important though, I’m all for that), but if you focus solely on the very sterile necessities of a busted budget, where or what will you be driving to in a few years if Chicago is a land of sports bars, grocery stores, vacant Blockbusters and overpopulated Pizza Hut/Taco Bell hybrids? Taking this strictly on a city by city basis, I would strongly argue for the CPL’s fate, if not just for their effort to embrace the technological age, improve the educational opportunities and research materials available to lower income neighborhoods such as the former Cabrini-Green and the inspirational events they put on like One Book, One Chicago. So, as mentioned in the linked open letter, it is strange to me that 363 of the 500 city jobs scheduled to be cut are at the Chicago Public Library. This website is definitely not a forum to get preachy, so we’ll move on, but it’s hard enough to find a bookstore in this city anymore, let’s not make it impossible to find a library.